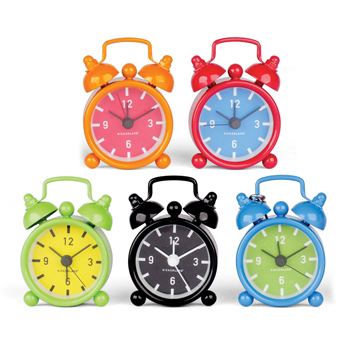 Mini Bell Alarm Clock. Great for traveling and, as a side note - There's no snooze button. So wake up and enjoy! Available in white, blue, green, black, orange, and red. L 2.5" x W 1.75" x D 0.75"